Action from Posh v Walsall last season. 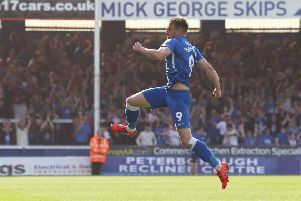 Peterborough United have rerranged their League One match with Walsall at the ABAX Stadium to Tuesday, February 27. Posh were due to host the Saddlers on january 6, but Posh are now at Aston Villa in the third round of the FA Cup on that day. All tickets already purchased for the Walsall game are valid for the new date.